What does a writer do when his debut mystery novel is praised to the skies, nominated for almost all the awards and loved by the critics? 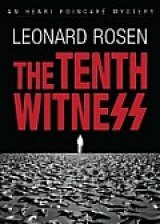 In the case of Leonard Rosen, whose 2011 mystery "All Cry Chaos," featuring engineer turned Interpol agent Henri Poincaré, did all that, you turn around and write a prequel, "The Tenth Witness" (Permanent Press, 288 pages, $29.00, also Kindle edition) showing how it all began. It's the late spring of 1978. Poincaré is a brilliant mechanical engineer, only 28 years old, who has designed a steel platform enabling divers to retrieve treasure buried at sea. Born in 1950 to a family who fought in the French Resistance against the Germans, Poincaré has no memories of the war, other than what he's learned from survivors and read. Two centuries before, in 1799, Lloyd’s of London insured an English frigate, the H.M.S. Lutine that sank off the Dutch coast with a cargo of a thousand gold bars; in 1977 Lloyd's hires Poincaré and his partner Alec Chin and their fledgling firm to build a platform to try to recoup their loss. Poincaré falls in love with Liesel Kraus, who, with her brother Anselm, runs a huge Munich steel company founded by their father, Otto Kraus. Like other industrialists, Kraus was arrested for investigation of war crimes at the end of World War II. Krupp, Bayer, Siemens, I.G. Farben -- as well as the operators of American companies like General Motors and Ford -- were all investigated by so-called deNazification organizations. Unlike some of the others, Kraus, a member of the Nazi party, had what could be called a "Schindler Defense"; Like the famous Oskar Schindler, Kraus was said to have protected the workers at his plant from the Nazi killing machine. Kraus had obtained an affidavit from ten Jewish workers at the steel plant attesting to his fair treatment of workers -- slave laborers, to be blunt -- at the plant. Kraus, according to the ten witnesses, did everything he could to make life easier for the residents of the adjacent concentration camp who walked to work at the plant. The steel for the diving platform comes from the postwar re-creation of Kraus' steel mill, financed mysteriously (the financing of the new plant is a spoiler, so I won't go into it). The involvement of the Kraus company leads to Henri meeting and falling in love with beautiful (naturally! ), smart and capable 30-year old Liesel. When Henri's uncle dies, Poincaré discovers he was one of the laborers in Kraus' steel mill, which leads him to probe into the past. Anselm Kraus and a mysterious group of Germans, some of who live in Argentina, don't like this probing and they set about tracking Poincaré's movements. The plot thickens when he travels to Argentina at the invitation of the government with plans for a platform similar to the one in Holland, to rescue treasure from a sunken ship in the treacherous Rio de La Plata. Sickened by what he sees in Argentina, run by the generals conducting the "Dirty War" after the death of Peron, Henri tells the government officials that the plans he drew for the platform in Europe won't work in the river. He pays off the government official and goes back to Europe to tell Alec Chin. Fortunately, the thriving firm of Poincaré & Chin Consulting Engineers doesn't need the relatively small fee that would have come from selling the blueprints to the Argentines. In the manner of Alan Furst and Martin Cruz Smith, Rosen is expert in recreating the WWII period and explaining the involvement of Americans, in the form of Operation Paperclip, which brought a user of slave labor named Wernher von Braun (1912-1977) to the U.S., along with dozens of German scientists, as well as the machinations of the O.S.S., the predecessor of the C.I.A. The skirts of the Roman Catholic Church, and the International Committee of the Red Cross (ICRC) are far from clean, Rosen writes, describing how both organizations formed "ratlines" to facilitate the escape of the Nazis to the Arab countries and South America. Of course, the reality of the times -- the Cold War -- led to most of the war criminals continuing to live prosperous, Mercedes-Benz driving lives in West Germany. Rosen deals deftly with the children of the war criminals and how they live with themselves and their knowledge of the crimes committed by their relatives. Translated into ten languages, Leonard Rosen's "All Cry Chaos" (Permanent Press, 2011) won the Macavity Award from Mystery Readers International for the best debut; was selected ForeWord Magazine's best work of fiction by an independent American press, earned an Edgar nomination for best debut, and earned finalist recognition for the Chautauqua Literary Prize and the Anthony Award. Len has contributed radio commentaries to Boston's NPR station, written best-selling textbooks on writing, and taught writing at Harvard University. 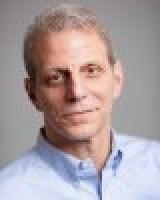 A native of Baltimore, Rosen and his family live in Brookline, MA.